Although Deborah Judith's music training is based upon the western Classical tradition, her essential connection to music has always been grounded in the universal principles of transformation and healing. The creation of music that actualizes these principles is the motivation and inspiration for all of Deborah's recorded works. Her classical repertoire has been carefully chosen to aid the listener in accessing moods and states that are conducive to meditation and inner relaxation. Ms. Judith's original compositions are invocational in nature, with a very strong focus of attention on awakening integration and the transformation of all unconscious tendencies. Deborah has performed and recorded works by J. S. Bach, Domenico Scarlatti, Ludwig von Beethoven, Franz Schubert, Frédéric Chopin, Johannes Brahms, Claude Debussy, Maurice Ravel, Eric Satie, Sergei Rachmaninoff, Thomas de Hartmann and G. I. Gurdjieff, among many others. Her original compositions are almost always spontaneous and completely improvised, very much in line with the Keith Jarrett tradition. Stylistically, Judith's music has been called neo-impressionistic, but in its aim and focus the term transcendental music might be more appropriate. Yet this transcendence fully accommodates the human experience. Her first 3-CD release, Evolving Heart Harmony 1, 2 & 3©, was performed and recorded in preparation of, during and just after the conscious conception, gestation and natural home birth of her daughter Harmony Light. "Evolving Heart Harmony follows the flow of spontaneous feeling. Most of the pieces on EHH were created when I was pregnant with Harmony. Any piece with Harmony in the name is dedicated to her and her presence within my body and in my life. The music is best listened to in a gently focussed space with time to hear it all and just be present. It also makes wonderful background music." Six months later, the raga-like Mantra Mandala© was released. "Mantra Mandala is based on a short theme or motif. That should be easy to hear as it is presented individually at the beginning of the first few tracks. That is the Mantra - the repeating of a phrase over and over as the focus of one's meditation. Each piece or movement explores different ways of playing the mantra - different registers - high/low, different combinations - right hand mantra /left hand tones that explore various harmonies with the mantra and then reversing - left hand mantra/right hand harmonious counter tones. The mantra moves all over the range of the keyboard. Tracks 1 and 2 explore the mantra higher up then lower down. Starting at about track 3 or 4 they begin to shift from hand to hand. Then both hands are simultaneously playing the mantra, reversing and inverting it. The music forms geometrical patterns. Usually, the Mandala refers to visual symmetry. This music Mandala is aural symmetry." Over the course of a year, Deborah Judith held a special series of concerts, Music From The Heart, which featured performances of some of her classical repertoire. These intimate soirées played before packed audiences invited from the local community. The first recording to emerge from these concerts was Classic Symmetry©, a wonderful array of some of the most beautiful compositions written for classical piano. The next in the series will be Classic Co-Creation. A marvelous live concert performance of the conscious music compositions of G. I. Gurdjieff, Thomas de Hartmann and Deborah's own work was released in March, 2005. Entitled Sacred Vibration© this luminous work is a must have for anyone interested in transcendental music. (See below) Also due for release, is the long-awaited 2-CD set of new original compositions, Ocean Of Grace©. The brilliance, depth and warm intimacy of her playing are evident on the track Dancing The Eon©. Deborah Judith's continued exploration and deepening development, both internally and musically, has led her into unique and challenging new vistas, including her amazing 2-piano concerts with Lubomyr Melnyk. These works are representative of a totally different dimension of transcendental music, in which genuine transformation can and does occur for both audience and players. In 2010, The TransGalactic Voyages Of Deborah Judith, a 23-part series of hour-long live concerts, were broadcast and recorded. The first volume of these beautiful, spontaneously created TransGalactic Voyages was released in June, 2011. In 2011, E. T. Nada gave a 9-part series of highly original presentations on the nature and intention of conscious art and architecture, The Architects Of Conscious Transformation. An integral part of these programs was the musical invocation at the end of each segment  performed by the inimitable Deborah Judith. These powerfully evocative pieces will soon be released as The Architects Of Conscious Transformation - The Magic Of Music. "Whether it's a delicately subtle rendition of Debussy or the spontaneously improvised spiritual mood poems that flow through her fingers like crystal streams of nectar, Deborah Judith's penetratingly beautiful musical voyages will be a source inspiration for many generations of music lovers." "Tell Deborah my deep appreciation for her CDs and her calming and inspiring sounds. I appreciate your talents... I will listen and enjoy very much the tender creative touch of our precious Deborah. Merci bien Shalom"
"The improvisations of Deborah Judith are an inspiration. They transport the creative listener to realms of unrestricted imagination." "I am the founder and director of a perfumerie. My work involves the manufacturing of natural perfumes, distribution, and the managing of staff. I deal with a lot of people - it's very busy.... hectic. I often find myself losing center, getting identified in the maelstrom of events. I have been playing all 3 CDs in the Evolving Heart Harmony series, which lasts for about 3 hours. In letting this music run during my work day, I've found myself remaining much more centered and graceful. I'm able to remember my real reason for doing what I'm doing. I've listened to lots of music, including rock, jazz, classical, etc. Very rarely have I encountered anything which has this effect . Last night, around 2 a.m. at the end of a very long day, I shifted into WAITING mode, something I never do. (I found myself waiting for a friend to arrive.) I turned on Evolving Heart Harmony and just allowed my day to dissolve..... and I waited. The music gave power to my intention to dissolve into meditational space..... After a little while I noticed myself blissing into waiting for nothing." "Mantra Mandala is refreshing and very relaxing. I repeat it over and over." "I really enjoy your CD, Mantra Mandala. I find it helps me get into a state where I can look at myself, the events of my life, and the world more objectively. Thank you." "I'd be in my studio in the morning and I'd need to put this one (Mantra Mandala) on. It's medicinal. If I'm at work and I don't feel totally awake, it helps me focus." 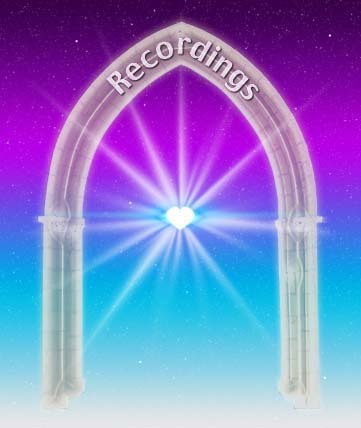 These exquisite works of transcsndental music are dedications to Universal Love and Awakening  magical offerings emanating from true Heart and Being. A dynamic compilation of selections from 10 years of Deborah's musical works, including 3 new pieces from her magnificent 2010 - The New Decade Concerts series. Deborah and Lubomyr's aim was to dedicate their concert performance to the healing of humanity and the planet. From this intention came The Concert For World Inner Peace. As the Dalai Lama so clearly and directly states, “To realize world peace, there must be inner peace in each one of us.” May the wonderful music that has resulted from these efforts become a growing inspiration to all musicians and listeners whose hearts, minds and beings aspire to realization of such a profoundly beneficial potential. G. I. Gurdjieff brought to 20th century Europe and North America, a type of Presence that was almost unheard of in those cultures. Here was an individual, who through his own efforts was somehow able to maintain a continuous stream of wakefulness in his life. Every aspect of his work was infused with this Awakened Presence. The music that Gurdjieff and his student Thomas de Hartmann created and transmitted to the world is among a small number of examples of what can truly be described as conscious sacred art. In essence, the music is grounded in the Awakened Presence that Gurdjieff demonstrably lived and passed on through the teachings and methodology of the Fourth Way. As such, this music can be a direct means by which an attuned human being may come to understand and Realize, just what it is to be Harmonious. Gurdjieff, de Hartmann and Judith blend perfectly. Music Magic!